You can order this ring in whatever even size you'd like. 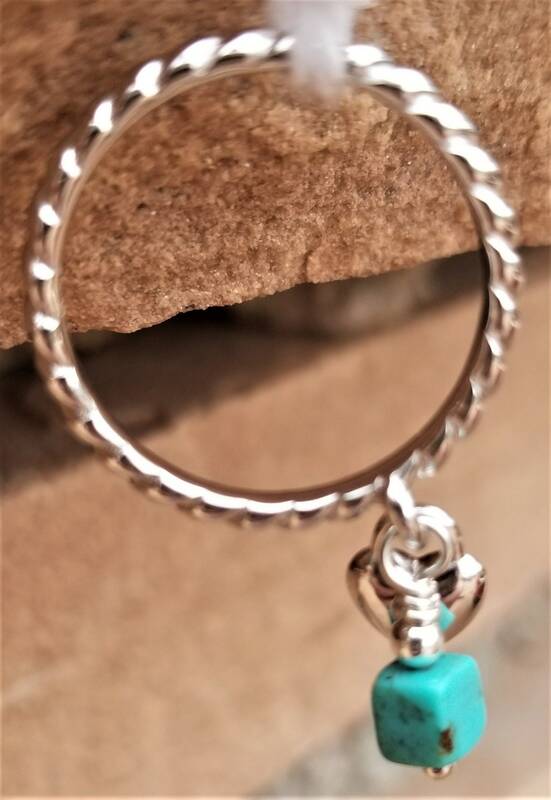 Ring shown is with a bright blue piece of Kingman turquoise from the Kingman mine in Kingman, AZ, that hangs along with a sterling charm to give your ring a little dangle. 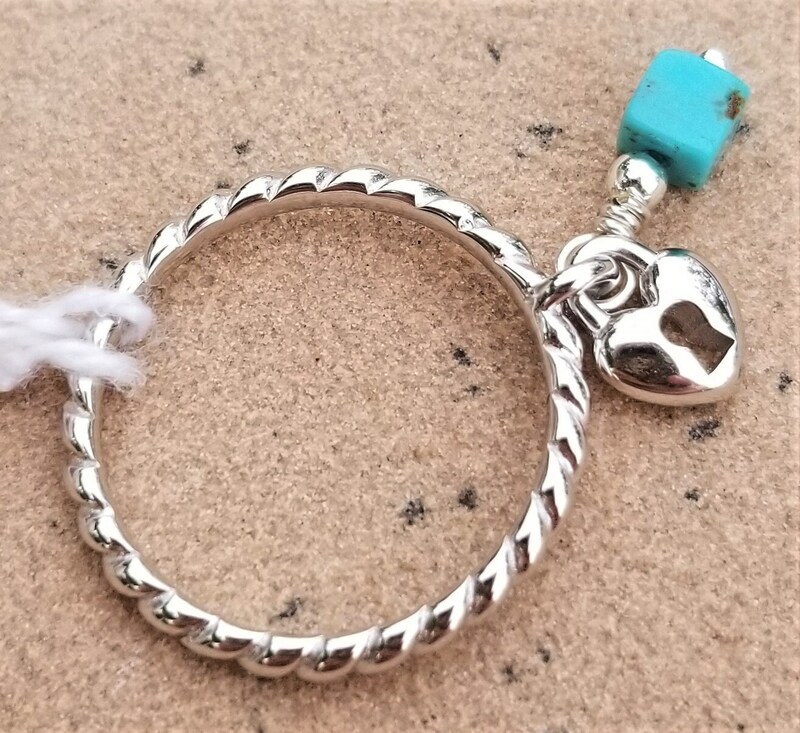 You can specify what kind of turquoise you'd like in the comments section when checking out and I'll do my best to accomodate you. Also, you can specify from other semi-precious stones when ordering to customize this just for you.